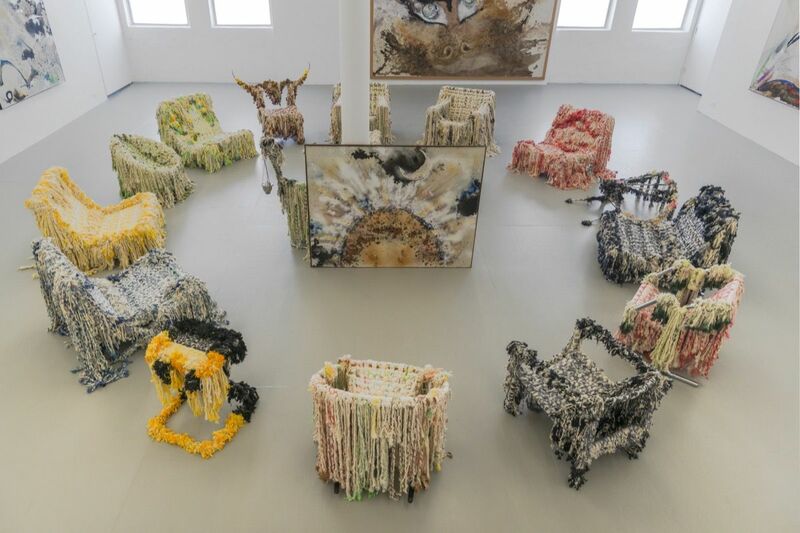 SAIC Fiber and Material Studies Professor Anne Wilson and alum Shannon Stratton (MFA 2003, MA 2008) were recently featured in an Artsy article "These Artists Would Love for You to Sit on Their Work" about artists who are blurring the line between art and furniture. “Sloppy craft”, a term coined by Wilson is used to define a contemporary style of construction that is gaining popularity among artists and makers. Couches that look like wooly creatures, armchairs with literal arms, and “slumpies” made specifically for people who want to sit and use their mobile devices are all part of a trend in the aesthetic of modern design. Defining the creations of these artists is proving to be a challenge for some curators but SAIC alum Shannon Stratton (MFA 2003, MA 2008), chief curator at New York’s Museum of Arts and Design doesn’t worry about labels. “I don’t make a distinction,” she said. “Somebody working in clay is an artist. Somebody who’s making more sculptural, conceptual, functional objects—whether furniture or jewelry—is still an artist,” Stratton told Artsy. The contemporary art these makers are bringing to exhibitions nationwide are made to be experienced rather than just looked at. The designs are inspired by technology, social media, and the nonbinary. They are informed by absurdity and functionality.